GreenPictures » Check out the new Monaco International Clubbing Show 2014 brochure! Check out the new Monaco International Clubbing Show 2014 brochure! Check out the new MICS 2014 brochure! 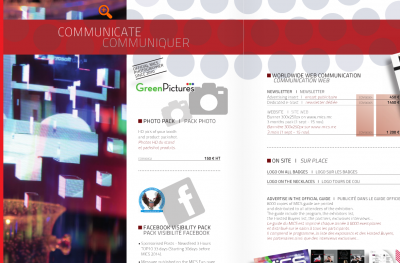 Packed with Greenpictures’ pictures and the optional exhibitors pics pack!